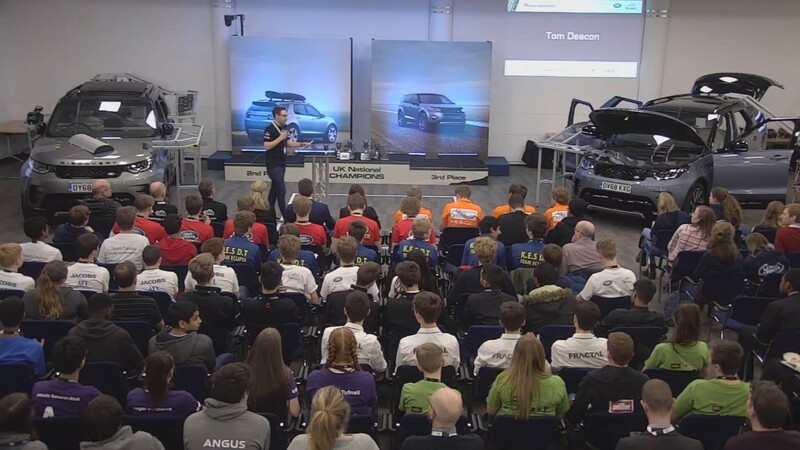 British Motor Museum Gaydon, it’s the Land Rover 4×4 in Schools National Final 2019. 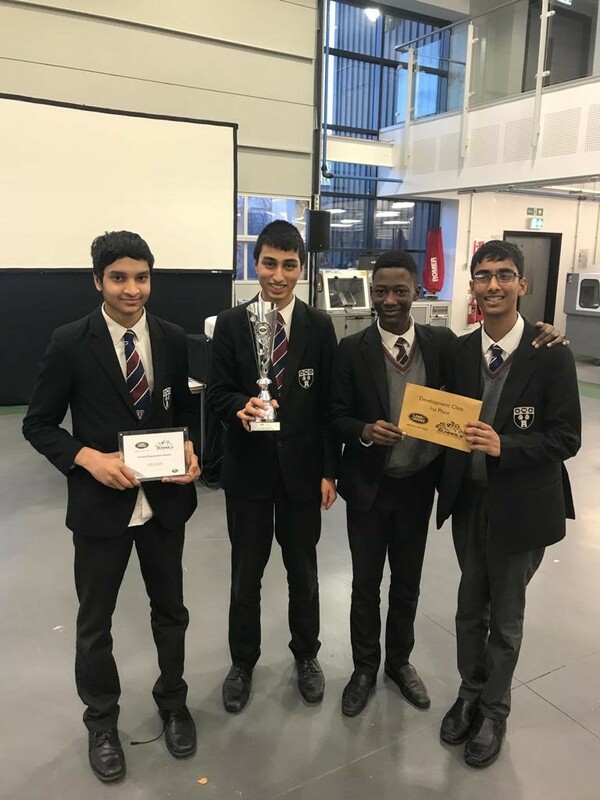 Team Quark were crowned the National Champions in the 14-18 age group and we were delighted to be able to support them on their journey. A very professional team of talented individuals. 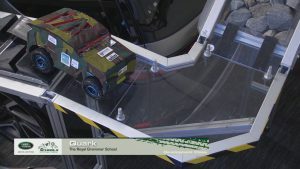 What Team Quark had to say regarding the 3D Printing materials sponsored by 3D FilaPrint. “3DFilaPrint has been a key part of our success. With our innovative design, we required lots of 3D printing filament for the final aesthetic of the car. 3DFilaPrint not only accepted our sponsorship request, but also very generously allowed us to choose what type of filament we would like, gave us a surplus of PLA and we received it the next day after dispatch! Furthermore, at our engineering judging session, we demonstrated the quality and strength of 3DFilaPrint’s PLA and the judges were impressed, showing the quality and strength in their PLA Premium, with its many diverse uses. 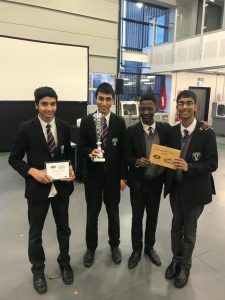 As a team, we are truly grateful for all the help and support 3DFilaPrint have given us and we could not have achieved and learnt so much from the competition without them”. You can watch a live stream of the event below, go to the 1:30 point to see the Team Quark vehicle in action. Graphene is the material of the future. Derived from Graphite, it is the world’s first 2D material and it has amazing properties. Graphene is only a single atom deep but is a million times thinner than a strand of hair and 200 times stronger than a piece of steal. What does this mean? It can be utilised in a variety of products and technologies. 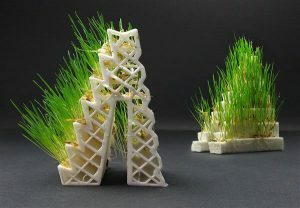 By either stacking it together, mixing it with other materials and liquids or just using it as a single layer, its potential is still being explored. Graphene’s structure makes it flexible, durable, conductive and transparent. This means it can be applied to a range products. This will benefit numerous public sectors such as healthcare, defence and transport. It is already being utilised to make durable sportswear, and its electrical and thermal properties make it ideal for lightbulbs and electronic devices. Its properties are being developed for use in transportation. Graphene-based materials can be harnessed in the production of aircrafts and vehicles. This will make aircrafts and vehicles more lightweight and robust which could potentially result in shorter travel times. In the future, Graphene will be used for water purification by perfecting filtration systems. Current methods of distilling water are time consuming and costly. Graphene-based filters can be mass produced and are easy to use. The strength of the material will also prevent any contaminants slipping through the filter. With the advance of 3D printing, Graphene-based products will be produced more efficiently. This will radically improve how we manufacture products, such as batteries, that can be tailored to specific electronic devices. The UK is world leading in the production of Graphene. The material was first isolated in 2004 by researchers at the University of Manchester, who were later awarded the Nobel Prize for their work. Innovate UK is funding research in Graphene as part of its Clean Growth strategy. This initiative is working towards tackling climate change both nationally and internationally. It is pushing for further innovative research in the use of Graphene to help the environment. The government have granted a £460 million fund to the Nuclear Decommissioning Authority. They hope to use Graphene in the conditioning and containment of nuclear waste. This will reduce the presence of radioactive gases in the environment. Graphene used in supercapacitors will improve battery life and performance and store energy in nuclear detection devises. Graphene can also be used in the production of wind turbines. If the propellers are made from Graphene-based materials, they will move faster and will generate more renewable energy. The global market for Graphene-based products has an estimated worth of £500m by 2020. The UK economy will benefit greatly from its production and investing in its development will increase the national income. Products made from Graphene will increase the efficiency of existing UK sectors and will open up new markets. It will become an essential component of all new machinery and technology, making it a staple in the UK and world economy. Scientists haven’t yet realised the full potential of Graphene. For more information on the Clean Growth Strategy, subscribe to Innovate UK’s YouTube channel. 3D printers and filaments are both obvious drivers in the 3D printing market. Filament manufacturers are developing unique filaments for the ever expanding range of 3D desktop printers. At 3D Filaprint we have seen a significant increase over the past 10 months in the commercial take up of 3D desktop printing. Many businesses are seeing a use for 3D printing in their workplace, whether it is for a new concept/project, or to improve current workflows. Manufacturers such as 3DXTECH, Proto-pasta, fiberlogy, Fillamentum, PolyMaker, taulman 3D have created and are creating new filaments that are fuelling that drive, for the mainstream business market. Then there is Kai Parthy! A German chemical engineer who has been at the forefront of speciality 3D filament creation for several years. Though as yet still remains somewhat unheard of in the mainstream filament market. 3D FilaPrint has always enjoyed the specialist and unique materials that have come out of the great mind of Kai Parthy. None more so than his new filament “Growlay”. We ran a couple of prints using the Baby Groot model https://www.thingiverse.com/thing:2014307 and as it was a brand new speciality filament and we were in a rush to grow something in time for a local tech presentation we had coming up, we didn’t really mind that we had a couple of failed prints, in fact the failed prints helped with the project immensely as the unfinished prints gave a wonderful base for the mustard seeds to grow on. 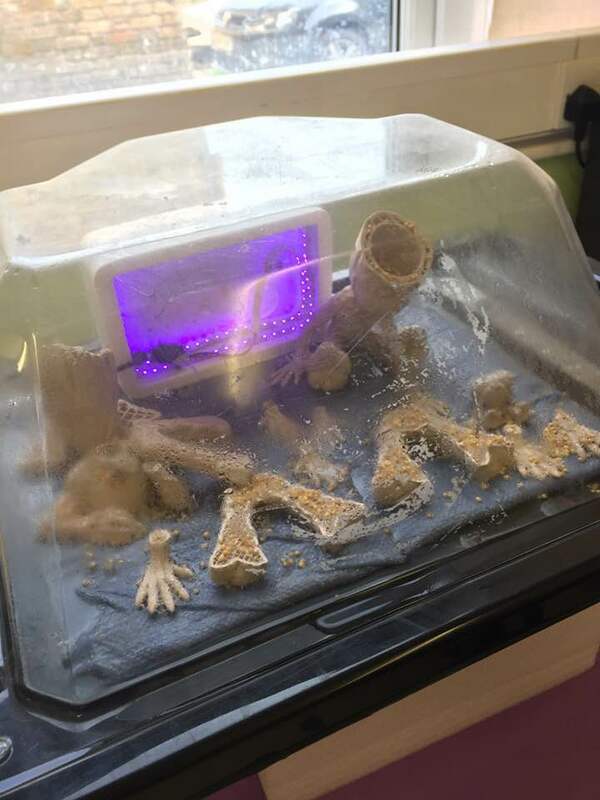 At first set up a mock incubator to speed up the process but found after just two days, a sort of mould started to grow, so we removed the prints and let it grow within our unit for the next few days. We will be adding the new Growlay filament to the list of many unique and amazing Kai Parthy filaments already available on our store. Click the image below. 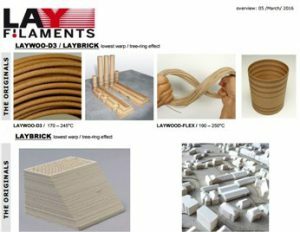 For more information on the properties of the Growlay 3D printing filament goto https://bit.ly/2O89Vk1 for a full review by 3D Printing Industry. Merry Christmas to all our valued customers and suppliers. We have had a fantastic year supporting you and your projects with our amazing range of filaments this year and 2018 looks even more exciting. Enjoy your festivities and have a peaceful and happy 2018. It’s amazing what you can add to your shopping list and get all in one shop these days! The latest Special Buy from Aldi is a completely affordable 3D Printer. Ideal for bringing 3D printing into main stream crafting, cosplay and modelling. We’ve taken a look at it’s capabilities and we are very impressed for a printer in this price category. The steel framed, touch screen Balco 3D printer prints directly from SD cards, supports a variety of filaments, and has a large build area to print toys, figures, cosplay , decorations, crafts, and more. You can even print prototypes of all the brilliant inventions you think up. What makes it even better is that all our Filaments work with it! It even comes with a 1 year warranty and easy returns policy should you not be happy with it. We highly doubt that! Here are some more product details and information. Need help and advice? Give us a call – 01702 611027. James Bruton and Hotwheels at Hamleys! Our friend James has been busy. Well, he’s always busy. This time he has been closing off Regent Street in London to parade the Hotwheels GIANT Drone Racerz Car #3, for Bladez Toyz! He may be stopping the traffic, but there’s no stopping him! We loved playing with Lego. We still do. It’s one of the best loved kids (and adult) toys. What if you had an uncle who built Lego with you? That would be something special. But, what if you had an uncle who made GIANT Lego toys? Toys you could really use! Matt Denton’s nephew is one lucky boy. Take a look at him helping Matt to build a giant Lego forklift truck. We’re sure you are organised and have all your presents wrapped with good wishes for those happy recipients on Christmas morning. Just in case you forgot someone we have the perfect, last minute gift for budding creatives. There are over 30 lucky people who already have this amazing gift, wrapped and ready under their tree. We’re sure that you will wow friends and family with your thoughtfulness when they unwrap such a perfect present. Our 3D Filaprint, 2017 Christmas Speciality Gift Box is now available at an unbeatable price. We even lovingly gift wrap it ready for you to take all the praise. 3D Printers are evolving rapidly. 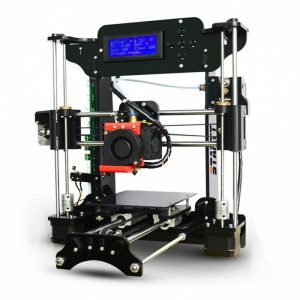 We thought that this would be an excellent time of year to let you know about the 3D printers available as a possible affordable Christmas present for those exploring the 3D Printing world. All of these printers take can use our Filaments. Check out our Filament Store Overview Guide here. Also, why not get your hands on our Special Secret Santa Christmas sample pack. A fantastic addition to any 3D Printer gift! We’ll even gift wrap it for you and send it directly to your special someone. Updated sophisticated V2.0 version mainboard, supporting multi-function, higher accuracy. Superior power supply system for safely using, 240W, 110V/220V. 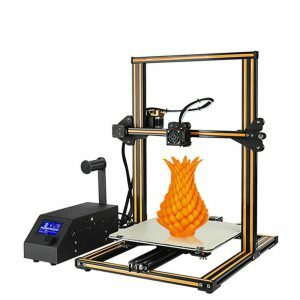 Heated hotbed and nozzle with wide range temperature adjustments allow the printer to be compatible with many 3D filament types, such as ABS, PLA, HIP, PP and Nylon etc. Wide application for printing architectural and manufacture model design, teaching and medical equipment, and other technological devices, as well as 3D toys for children, great for stimulating users’ creativity and inspiration. Application Area : scientific research, 3d printer DIY, teaching, archaeology. CoLiDo D1315 Printer conductive to higher precision and quality prints. Upgraded to European Standard aluminum profile ensure stable prints. high-quality nozzle: Avoid scalding injury/ scratches/Electric shock. Who is the STARTT printer for? 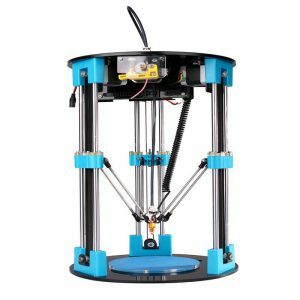 Anyone looking for an inexpensive way to start 3D printing. Technology enthusiasts who love to see how things work. Parents who are looking for a great activity for bonding with their children. Students interested in the freedom to design and create at home. Why is the STARTT right for you? Affordably priced compared to other printers. Good printing quality, especially for the price. Comes with an easy to follow instructional guide with online video tutorials. A fully supported 3 month warranty on manufactured parts. That’s quite a selection. We have tested all of these models at our showroom. If you need anymore information we are always pleased to offer our friendly advice. Don’t Forget the Secret Santa, Lovingly Wrapped Gift Set. Wishing you all a very Merry Christmas and Happy New Year from all the team at 3D Filaprint. Last month we blogged about James Bruton’s attempt at the Guiness World Record for the tallest 3D Sculpture of a human. Sponsoring James alongside Lulzbot, 3D Filaprint were onsite at Winchester Discovery Centre with a front row seat to the event. Take a look at the video below of James’ Guiness World Record attempt. It amazing to see what James achieved using his Lulzbot 6 printers and we are keeping our fingers crossed that he will soon be a Guinness World Record holder.